After the great success of the WORLD CHAMPIONSHIP OF PROJECTION MAPPING on the Brandenburg Gate and on the Berlin TV tower we were proud to announce the 3rd international competition. For the very first time the Berlin Cathedral, one of the best-known landmarks of Berlin and Germany, was the venue for a creative and innovative mapping competition with the latest technology. 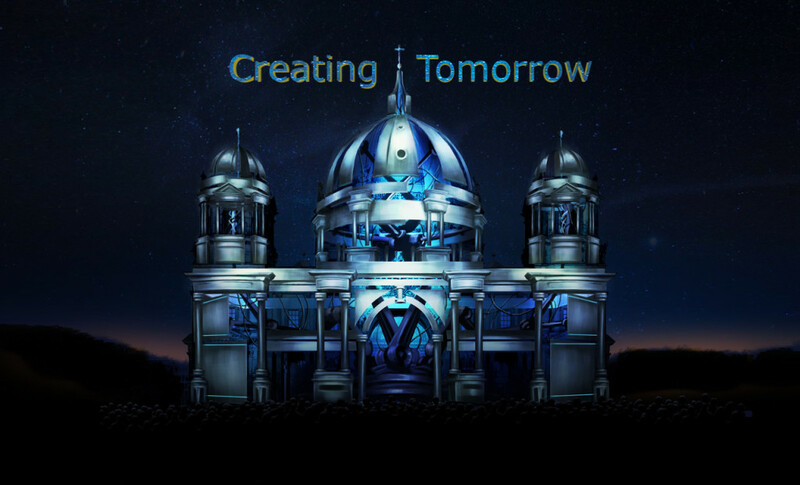 National and international artists transferred their visions of the future about the festival’s motto “Creating Tomorrow” into 3D- video mappings. 11 artists from 5 different countries created a breathtaking 3D- video mapping show. Viewers have been excited to enjoy 25 minutes of international creativity build around the topic of “future”. Each single story is spectacular, entertaining and has it’s unique core. Congratulations to the winner: SEMBILAN MATAHARI! Congratulations to the winner of the jury award: ZHEE SHEE!